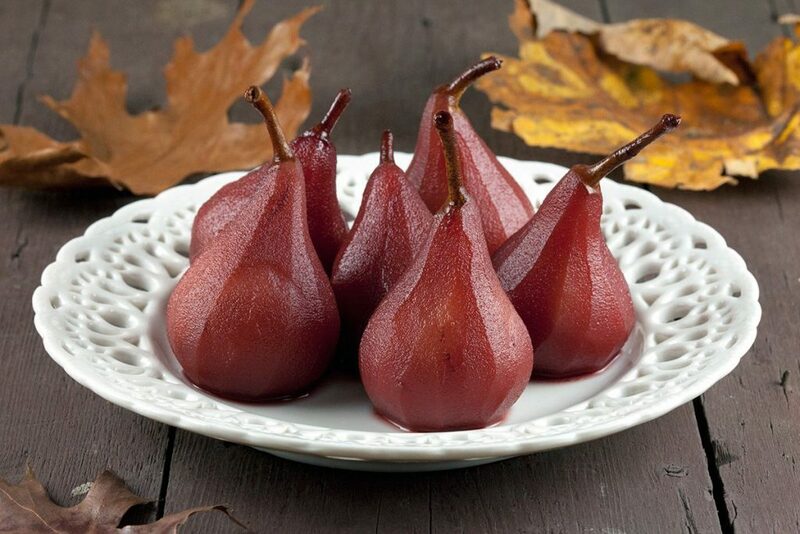 The great thing about autumn are the seasonal fruits such as apples and pears. This also means poached pears in red wine and ginger, or add some cinnamon. Pears are amazing and they’re in season again, yes! 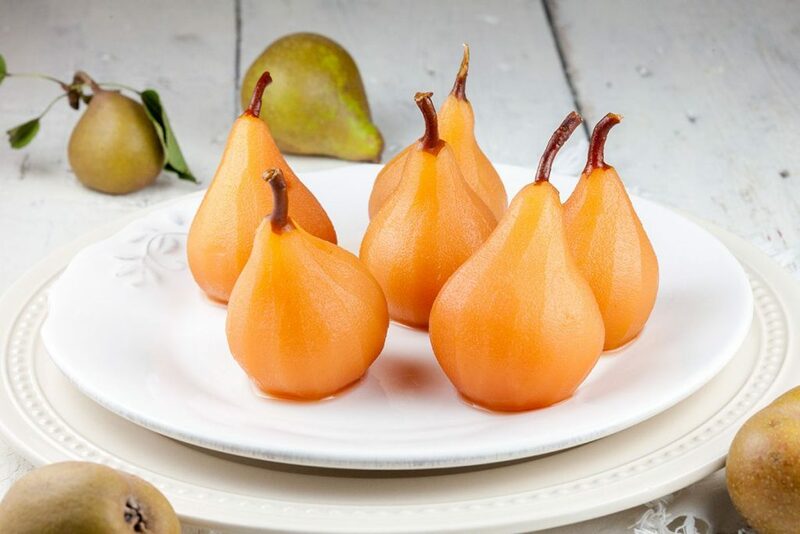 Poached pears in apple juice or lovely in taste and color, awesome! Perfect for dessert or side dish.